Should school sports kits include hoodies? Have you ever had to run around in the freezing cold during PE wearing nothing but shorts and a polo shirt? Sure, it warms up after a while, but the thought of getting changed into less clothes than I had been wearing inside is what used to make me dread winter PE lessons. For the lucky few at some schools, there were long sleeved polo shirts, but never anything as warm yet comfortable enough to exercise in, as a hoodie. Guidance from the DoE says that PE should help pupils to become ‘physically confident in a way which supports their health and fitness’ as well as to help ‘build character’ and ‘embed values such as fairness and respect’. However, being good for you doesn’t seem to be sufficient reason for children to want to participate. In fact, the government has recently had to introduce a ‘no-excuse note policy’ in schools to stop so many school children from skipping PE lessons. Would school PE hoodies make kids feel more comfortable? 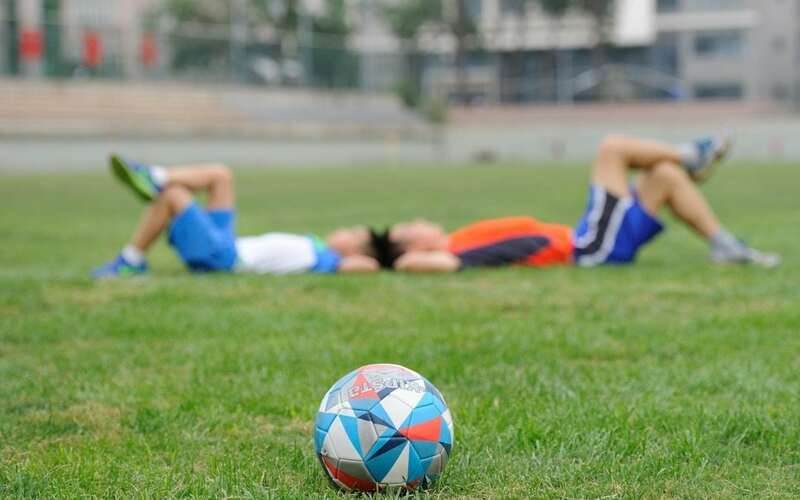 Making kids take part in PE may be the answer for now, but in my opinion, one of the main things that stops anyone – children and adults alike – from enjoying exercise, is that they don’t feel comfortable. Whether it’s feeling intimidated in a gym, or being the slowest person in a running group, the temptation to skip exercise after a long day can be extremely high, if it’s not something that you feel completely comfortable about. Would wearing a hoodie for PE make any difference? So, could something as small as being warm and covered up against the elements really make a difference? Yes, I believe so. What’s more, giving kids the choice to wear something that keeps them warm will take away the issue of whether being cold is going to stop them wanting to take part. The same goes for when it’s hot. Take the reactions to a uniform policy in an Exeter school earlier this year as an example, when dozens of boys wore skirts during a heat wave, as they were not allowed to wear shorts. Other schools have recently implemented a gender-neutral uniform policy, where the boys and girls can choose from a skirt uniform or a trousers uniform. By giving pupils something that they want to wear, there is more chance of them wearing it – whether it’s school uniform or PE kit. It’s great to see that some schools are already taking this approach, especially as it’s just as easy to personalise a hoodie to be part of PE uniform, as it is for any other form of clothing.